WELCOME TO PRIME LIFE MINISTRIES: 7 Myths About Getting Into Heaven. 7 Myths About Getting Into Heaven. Over generations, because of lack of knowledge or the ability to read, people have been falsely led into believing that there are many ways to heaven. 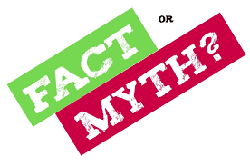 We are publishing this post to expose these 7 myths (lies from the devil). Being a member in good standing of the right church, denomination, or religion will get you into heaven. FALSE! Having the right religion will get you into heaven. FALSE! Joining a specific church and attending regularly will get you into heaven. FALSE! Paying your tithes and regularly giving substantial offerings or charitable donations will get you into heaven. FALSE! Good Works will get you into heaven (Examples: Being on the Usher Board; Singing in the Choir; Being a Deacon; Being on the Mother's Board; Working in the kitchen; Faithfully being a greeter or parking lot attendant, etc.) FALSE! Being a morally good person or living an exemplary life will get you into heaven. FALSE! Being a prophet, preacher, teacher, minister, priest or pastor will get you into heaven. FALSE! Even if you have sincerely been or done all of the above but have not accepted Jesus as your Savior and Lord, you are still lost and will not get into heaven! You might as well have done nothing if you haven't done the most important thing. God loves you and it is not His will for you to be lost (perish). That is why He has made His Free Gift Of Salvation (Jesus) available to everyone. There is still Only One Way to get to heaven and here is what you must do to be absolutely sure that heaven will be your eternal home. Admit that you are sinner – even if you think you have done nothing worse than telling a little lie. Remember, no sin is too great or too small for God to forgive. Big or small – sin is sin. They are all the same to God and Christ exchanged His forgiveness for our sins. Be penitent, be sorry for your sins, and be willing to change and not do them again. If you have any hate or anger against anyone, you must forgive them. If you don't, you will not get into heaven. Note: Have you ever been asked, “How do I become a Christian?” These verses give you the beautiful answer – salvation is as close as your own mouth and heart. People think that salvation must be a complicated process, but it is not. If you believe in your heart and say with your mouth that Christ is the risen Lord, you will be saved. Accept Jesus as your Savior and make Him Lord of you life by saying the following prayer out loud. If you have said this prayer and meant it from your heart, you are saved and when your time here on earth comes to an end, heaven will be your eternal home! Now, tell someone else what you have just done to confirm your salvation. We encourage you to find and become a member of a good Bible believing, Bible teaching Christian church where you can be discipled and grow in your walk with the Lord. Unfortunately, not all churches fulfill these requirements. When you are looking for a church, find out what they believe before you commit. As soon as you can, acquire a Bible in a version that is easy for you to read, understand and assimilate. Examples: New International Version (NIV); New American Standard (NASB); The Living Bible (TLB); New Century Version (NCV); New Living Translation (NLT). Then, make it a practice to read your Bible every day. You are just beginning a new life long journey. Welcome to the Family of God!